This morning Mary Beth came running down the stairs telling us all to go look at our crab apple tree in the front yard which was full of Cedar Waxwings. 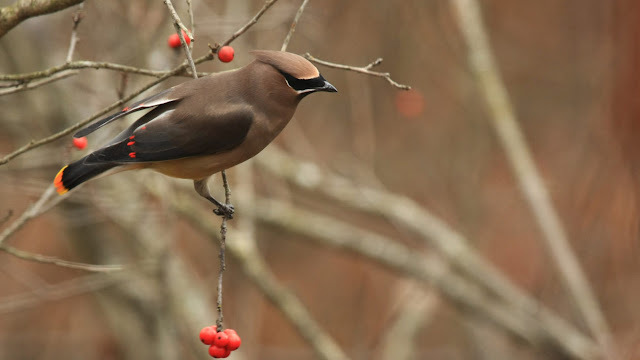 I can't ever recall hearing of a Cedar Waxwing - I've likely seen them but don't have any memory of it. But this morning dozens of the beautiful birds were flitting around the crab apple and picking off caterpillars that are presently feasting on the tree leaves. They must have worked that tree for at least an hour before taking off. Later on I went out and looked for evidence of caterpillars on the tree but only saw one. So hopefully the birds will come back in the days ahead and help save the tree from being totally denuded by the insects. The tree blossoms in late May - right around MB's birthday. The smell of the flowers on the tree is heavenly. I bought the tree for her birthday soon after we moved into this house. Following that hour of joy, we had both sat by the window and watched the beautiful show, MB and I went out to work in the garden. We planted 17 tomato plants, cucumbers, and squash and did a bunch of weeding. I had to move some lettuce that is growing in clumps due to my shaking hands when I was planting the seeds - the plants grow where the seeds fall and in my case I dumped a load of them in one spot. The garden ground is wet from almost non-stop rain during recent weeks. A farmer friend here in Maine says that more rain than usual is in our future due to climate change. All of this magnificent nature is now in peril as we see the US refusing to deal with the reality of global warming. Some people can argue all they want against climate change but I am a true believer that our weather is now totally fucked up. I was talking to someone in Texas yesterday who told me they've had rain for two weeks and she was coughing like mad. I was coughing as well and so was the Global Network's layout design person who I had spoken to earlier in the day. I caught the crud from MB. As the weather changes day-to-day our bodies are having a very hard time adjusting. Last month we had a 93 degree day (the hottest recorded temperature for that day in Maine's history). Then just days later we had to light a fire again to heat the kitchen. Add also to this reality the atmosphere regularly being filled with chemtrails that lace the sky from horizon to horizon. The aluminum (and god knows what other toxic elements are being sprayed from these planes) gets into our lungs, the soil, the water, and ultimately our food chain. That has to be lowering our immune system dramatically thus these hard bouts with the crud that never seems to go away. Don't you begin to wonder if someone is trying to thin the population? 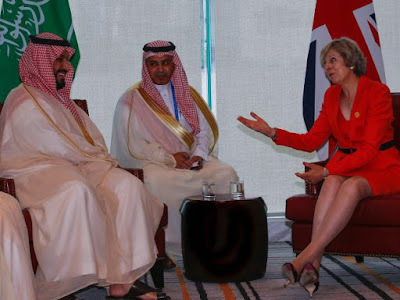 I was talking with a friend the other day about all this and I asked the question, "Why would they (the ruling oligarchies) want to thin us out?" The person's response was on the mark - "Because there are not going to be enough jobs." Nothing like an unemployed superfluous person who figures out what is really going on - they become radicalized and a danger to the capitalist system. But the ruling 1% also knows that the planet is over populated. So they know that their 'rule' on Earth is conditioned on reducing the global population and in doing so their mad hatter scientists come up with all kinds of insane programs for weather modification and geo-engineering. So in the back of my mind this morning, while having this spiritual experience watching the birds feast on our tree, was global warming and chemtrails and how these phenomenon are currently impacting the birds, other wildlife, plants, and trees. Instead of surrendering to helplessness, which can be like a drug addiction, I feel even more compelled to push for conversion of the military industrial complex toward a sustainable society. There is far too much beauty in life for me to walk away from working to stop this corporate industrial mega-polluting model of society. (I often feel like I am living in the middle of the collapse of the Aztec civilization. I figure their rulers ignored the hell out of critics at that time too.) We don't have much time left and so I will keep pushing to convert places like the General Dynamics Corp. Navy shipyard here in Bath, Maine. 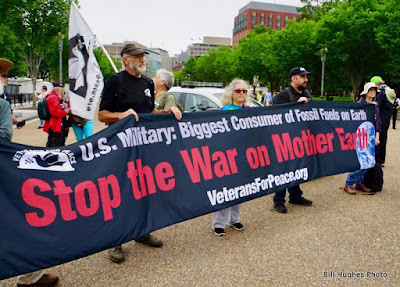 The US military has the largest carbon bootprint on the entire planet. Official Washington 'insisted' that the Pentagon be exempted from monitoring by the Kyoto and Paris climate change protocols. Why in hell do most mainstream environmental groups refuse to mention the Pentagon link to global warming? So while everyone is now yelling at Trump because he wants to withdraw from the Paris accords, hardly anyone is noticing the military footprint connection. It burns my britches. This is a collapsing industrial culture. I want to stand with the birds. Today I posted a video of my talk at the White House on Tuesday at the Veterans for Peace finale event. Near the end I pointed to the White House and said we should change its name to the "evil, dark, black" house. As soon as the words came out of my mouth I knew I had made a big mistake. There is no doubt in my mind that the White House and its foreign and domestic policies are evil and represent the greedy corporate interests. Where I went wrong though was using the words dark and black. As we see in the video above with basketball star Lebron James America has serious problems with racism. Using the words black and dark in my talk showed how even the best intended people still unconsciously fall into the trap of perpetuating negative racial images. I told a friend right after I spoke that I knew I had made a mistake - he suggested I should have called it the 'blight' house. He was right. I am truly sorry for my insensitivity. 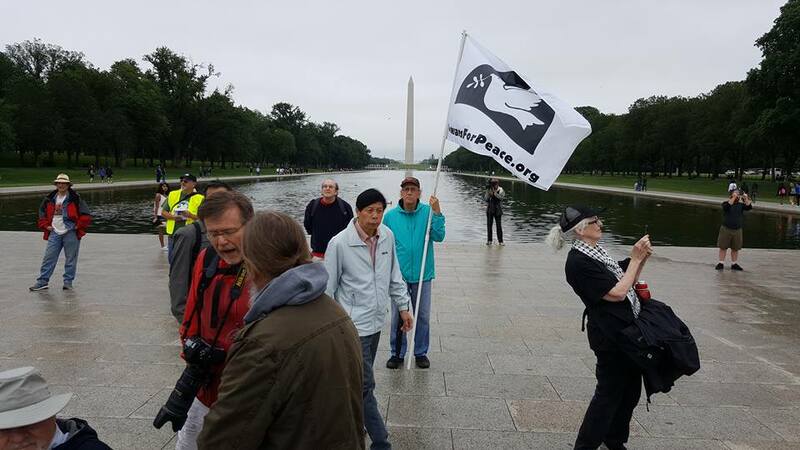 Paul Appell (on right in yellow vest) helped carry the lead banner in the VFP march to the White House on Tuesday. Paul Appell is a Vietnam Veteran and runs a family farm (corn and soybeans) in Illinois. On his way home from the protest in Washington he wrote the following words which I found quite moving. As I sit here in Chicago waiting for my connecting flight and think back on the last few days, it was my best Memorial Day ever. 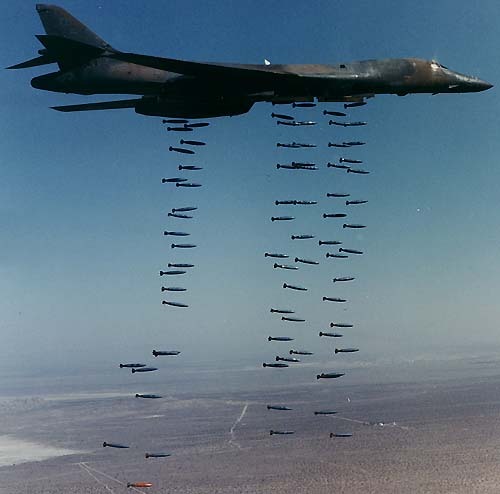 I have the highest regard for the truth and feel so pleased that I did not have to undergo the stress of listening to the militaristic views of war designed to promote the next one. As I got to the Harrington Hotel [in DC] Monday after the MLK speech reading, three long haul truckers insisted on buying me a beer. Despite my feeble resistance, one free drink turned into 6. That was my limit but then 3 DC police officers bought another round that, after getting hugs from them, I could not turn down. I stayed too long because I felt I had an obligation to try and impart some truth to one of the truckers whose father was a Viet Nam vet who came back fucked up. When he was a small boy, his father held a gun to his son's head for 18 straight hours. Dan Shea and I hopefully made the point that it was the war that screwed up his father. War destroys much more than most realize. A Gold Star mother, whose son died a painful death from DU [Depleted Uranium used by the US in war zones] induced cancer sent me this note when I told her I put her son's name on the Bell Tower. "I wished I had the words to tell you how much you and your actions mean to me." This heartfelt comment from someone who has undergone much pain from the Iraq War is also directed to all involved with the last few days. 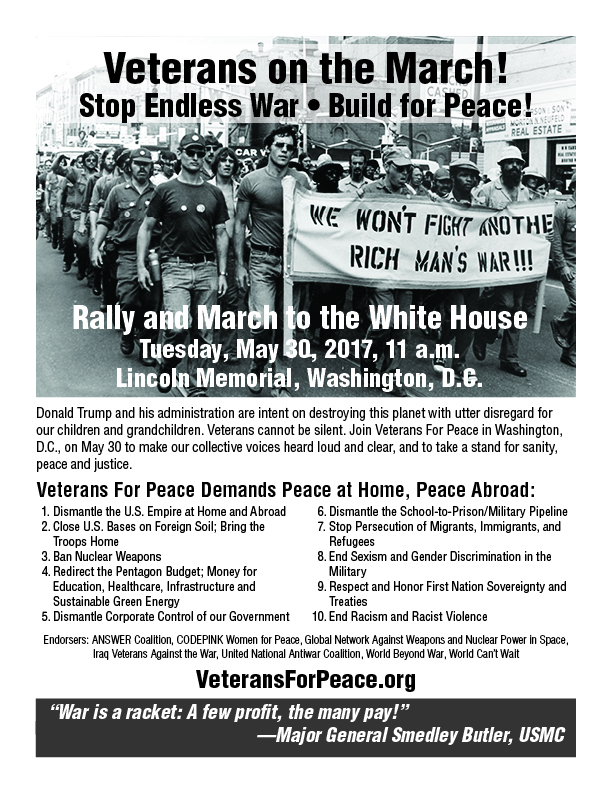 “Veterans for Peace” Confront President Trump About Endless Wars from Bill Hughes on Vimeo. The speakers raised their voices about the endless U.S. related conflicts around the globe in Afghanistan, Iraq and in Syria. They put emphasis on the war drums beating daily for a conflict with North Korea, and also, thanks to the hawkish Neocons and our influential Military-Industrial Complex, a possible U.S. war, starting in 2017, with - Iran. Speaking at the White House rally was Veterans for Peace activist, Bruce Gagnon. He’s also the coordinator of the “Global Network Against Weapons & Nuclear Power in Space.” He blasted the U.S./ NATO War Machine and referenced the White House as an often "black, dark, evil” house. 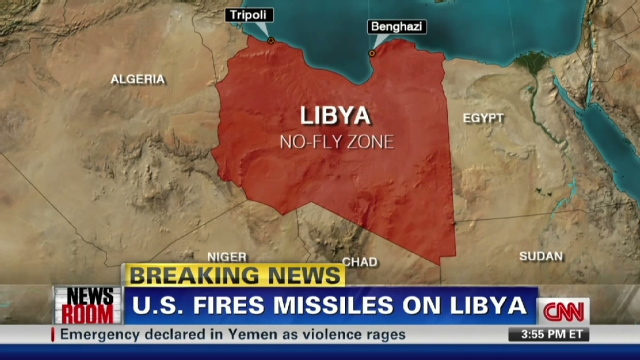 US and the UK launched their version of ''shock and awe' on Libya in 2011. They turned a once prosperous and stable African nation into another failed state adding to Washington and London's long list of regime changes. Since that time refugees have flooded from the region to Europe and a civil war still rages in Libya. Standing with Mike Tork from Cape Cod, Ma. who got arrested with us at Bath Iron Works in Maine last April 1 during 'christening' of another Aegis destroyer. I spent a night in DeWitt town jail with Chuck Heyn a couple of years ago after we were arrested at the Hancock Air Field drone base just outside of Syracuse, NY. Chuck came to our recent Global Network space conference in Huntsville, Alabama. Vietnam veteran Bill Perry showed us the names of six of his unit mates on the Vietnam Wall who were killed when their chopper was shot down. Bill was supposed to be on that chopper but was goofing off and missed the flight and had to take another helicopter and just missed the terrible moment. During the rally in front of the Lincoln Memorial I held this flag - many tourists stopped by and listened or took photos of the event. Peggy Akers from Maine was a nurse in Vietnam during the war. She has been an active VFP member for many years. Art Laffin lives at the Catholic Worker House in Washington. 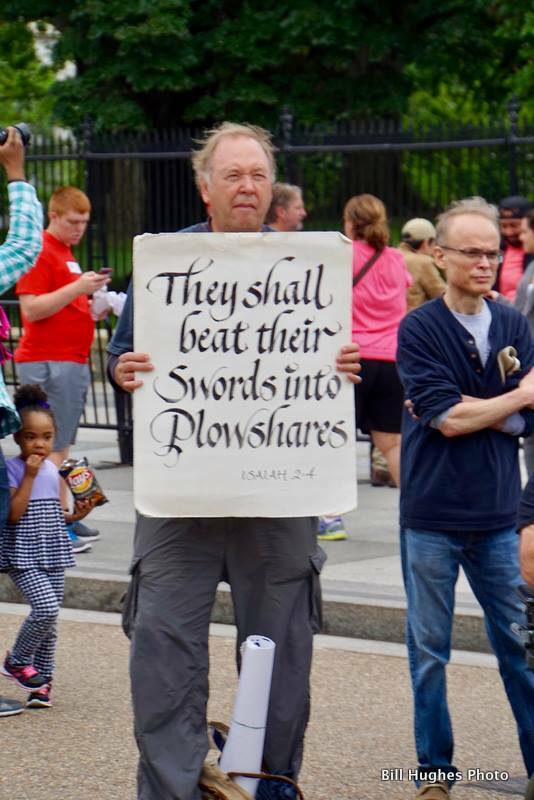 Every week since 1987 his community has held vigils at the Pentagon and the White House. Art joined us for the march to the White House. Great banner that says it all. The Fugs did a return engagement and performed their legendary song (first sang at the Pentagon in 1967) when they tried to levitate the war building. This time they chased the demons from the White House before we marched to that site from the Lincoln Memorial. People loved it. Listen to the song here. One final photo of rally participants at the Lincoln Memorial before taking off for the White House. Lots of car and foot traffic saw us as we marched to the White House. The white VFP flags are so visible. 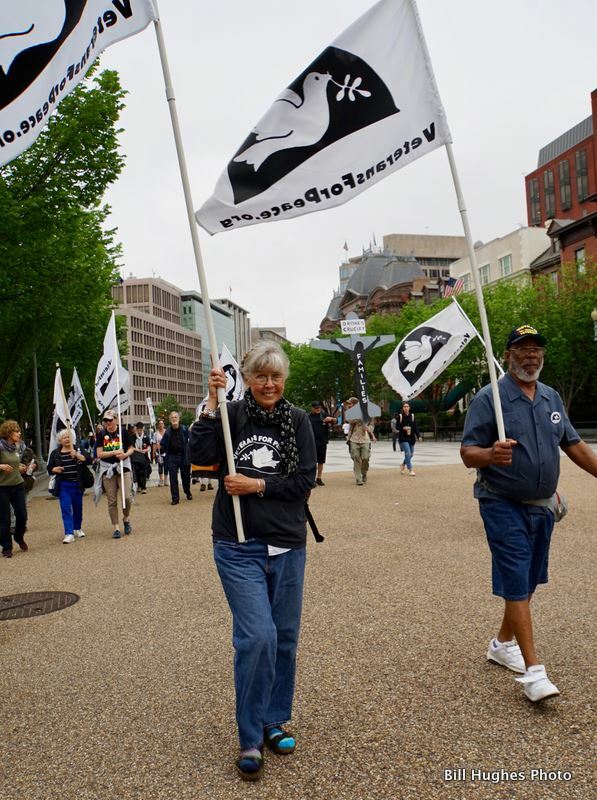 VFP national board member Tarak Kauff was the lead organizer for the rally and march. Tarak came to Maine last year and was arrested with us at Bath Iron Works during our Zumwalt 12 action at the shipyard. 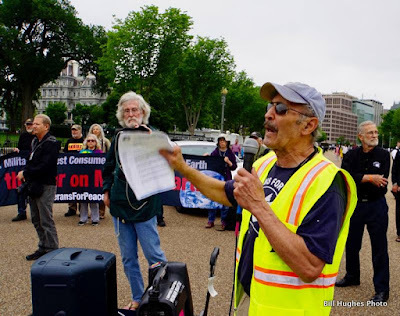 I spoke outside the White House telling the story of the Obama-Hillary Clinton 'pivot' of 60% of Pentagon forces into the Asia-Pacific to provocatively encircle China and Russia. I talked about how this massive military redeployment is severely impacting places like Jeju Island, South Korea and Okinawa as new US bases now being built destroy the environment and local fishing and farming cultures. Final group photo at the White House. It was a good two days of protest in Washington as huge crowds of holiday tourists thronged to the usual hot spots memorializing American 'freedom and democracy' - neither of which exist in the US any longer. On Memorial day in Washington Veterans For Peace (VFP) placed letters written by people from around the country along the Vietnam War Memorial - many people picked them up and read them. Then we went to the Martin Luther King Jr. Memorial and VFP members took turns reading the entire April 4, 1967, “Beyond Vietnam” speech by Dr. King at the Riverside Church in New York City where he came out against the Vietnam War. It was this speech where King declared that America was the largest purveyor of violence on the planet. Exactly one year to the day after delivering that speech King was killed by his own government who feared that the famed civil rights leader would bring that movement and the peace movement together. That could not be allowed so he was assassinated. The US government is now working overtime to 'rewrite' the history of the Vietnam War so that the public will 'finally get over it'. VFP is committed to keep the truth about Vietnam alive. The US (CIA, National Endowment for Democracy) are funding and directing many of those using violence in the streets of Venezuela just like Washington has previously done in Guatemala, Chile, Ukraine, Libya, and now in Syria as well as many other nations. The US media does the demonization work on the easily manipulated minds of the American people. When will our citizens ever learn not to believe the BS? “President Moon said it was very shocking,” to hear the four additional launchers had been installed without being reported to the new government or to the public, presidential spokesman Yoon Young-chan told a media briefing on Tuesday. 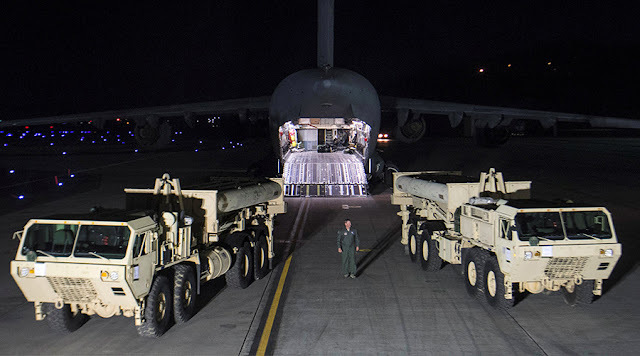 The deployment of the US Terminal High Altitude Area Defense (THAAD) system was approved by the previous conservative government in Seoul, which fell after then-President Park Geun-hye of the Saenuri Party was impeached under the corruption charges. Moon Jae-in, a Democrat, won the May 9 election and is in the process of power transition. A promise to review the controversial THAAD deal was part of his campaign. Moon’s office announced a probe into an undisclosed entry of four THAAD launchers, which were brought into the country in addition to two units, the deployment of which was publicly announced. Eric Herter picked me up at our house at 5:00 am this morning and we drove south to Portland, Maine to grab at 6:00 am bus to Boston. After a two-hour wait we jumped on a train heading to Washington DC so we can attend the Monday and Tuesday protests by Veterans For Peace. Three of us will be staying at the Dorothy Day Catholic Worker house in DC. 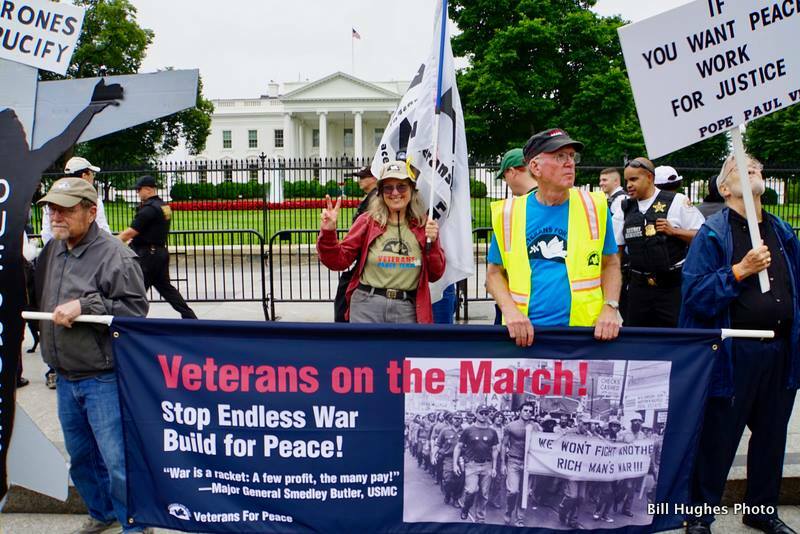 Veterans are gathering from around the country for the rally and march on Tuesday beginning at the Lincoln Memorial that will end at the White House with civil disobedience against America's cycle of non-stop wars and the mad waste of trillions of dollars on them. I don't see much chance of any reforms happening in Washington now that the oligarchs control the government. Our nation has become a 'failed state' in the sense that the Congress and White House only work on behalf of the rich and the corporate interests. So what is left to the citizen to do about this sorry state of affairs? All the doors to real change have been slammed shut in our faces. For me the answer is obvious - we must organize and participate in non-violent resistance. Thomas Jefferson famously said, "The end of democracy and the defeat of the American Revolution will occur when government falls into the hands of lending institutions and moneyed incorporations....Every generation needs a new revolution." I am not inclined to sit back and wait for someone else to fix things. That's not how my understanding of history works. The idea of democracy is a participatory activity and if we are to have a nation run by the people then the people have to make it happen - especially as we face times like these where democracy has been drowned by Mr. Big and his $$$$$$. I don't go to Washington thinking that 'one protest' will do magic and turn everything around. Over the years I've been asked a zillion times, "What good did that protest do?" That's not how it works - one protest is not meant to turn things around just like that. It's a building process where the issues get illuminated, demands made, the public is made to confront the reality even if they don't want to acknowledge it, more people get inspired to act, consciousness and movement builds and spreads. The Occupy Movement is one example of how one action spread around the country and around the globe. The 1% and the 99% became household concepts and those themes made their way onto the nightly news and front pages of newspapers. In a way you could say that protesting is a 'leap of faith' - the spark is not always lit at each protest but now and then the fire catches on. I've come to the point that I don't really worry if protests I attend are 'worth it or not'. I do them because I believe in the issues at hand and I feel compelled to act. I have no choice - I must stand in non-violent resistance even if there are only a handful of us. But I've been around long enough to have confidence that when we do act together ripples and waves are created that take our heartfelt demands further into the public consciousness then we could ever know or imagine. I've learned to have faith that things will move in a good way if we stay loyal to our own beliefs in what we stand for. Update: It is 4:17 pm and our train has stopped in Wilmington, Delaware. They just announced that somewhere ahead of us another train hit some truck on the tracks and there was an explosion. So we are sitting and are not going to be arriving in DC on time. Keep repeating it - we want single-payer - Medicare for all!